We hear that many people are in need of respite care and I’m sure this is true. I know that when my son was at home the thought of having respite care provided was just a dream. Even though he was on a Home and Community Based Waiver which included respite, he was never approved to have respite. 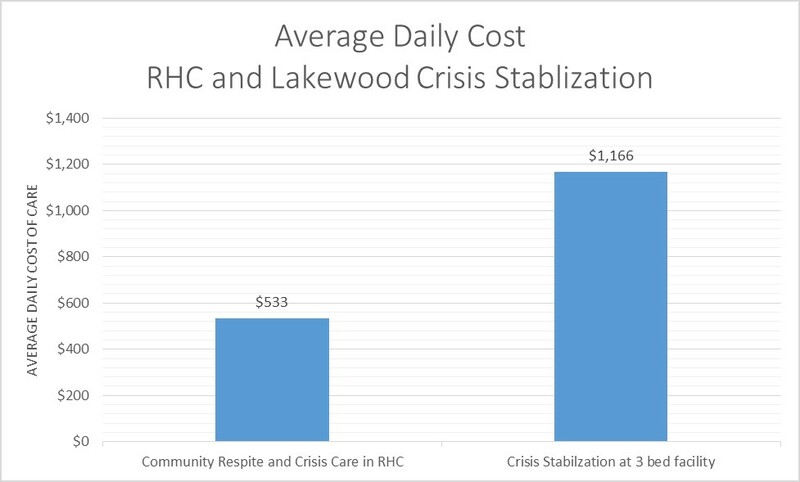 With respite “beds” in such dire need, it is mind-boggling to me that those who need respite and some major advocacy groups still desire to close the Residential Habilitation Centers (RHCs) in our state. They are oblivious to the facts that the RHCs are part of the continuum of care, providing care for many from various community settings. If they are aware of the facts and they advocate for closure or consolidation, they are really advocating against safe and appropriate care for those who need respite. 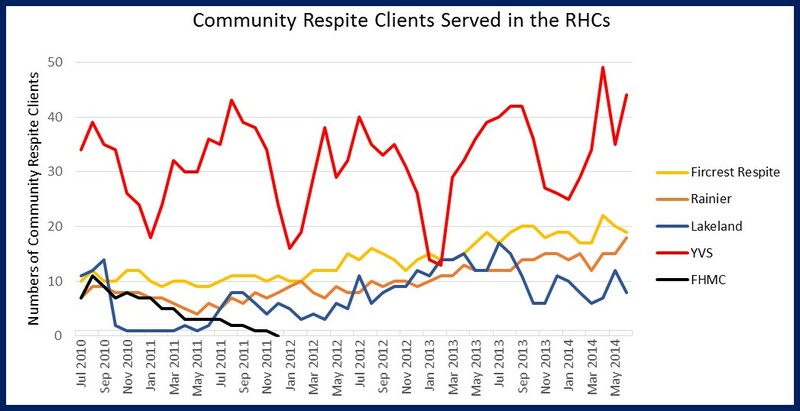 For the time period from July 2012 through August 2014, there has been a steady rise in the respite care at our four remaining RHCs. 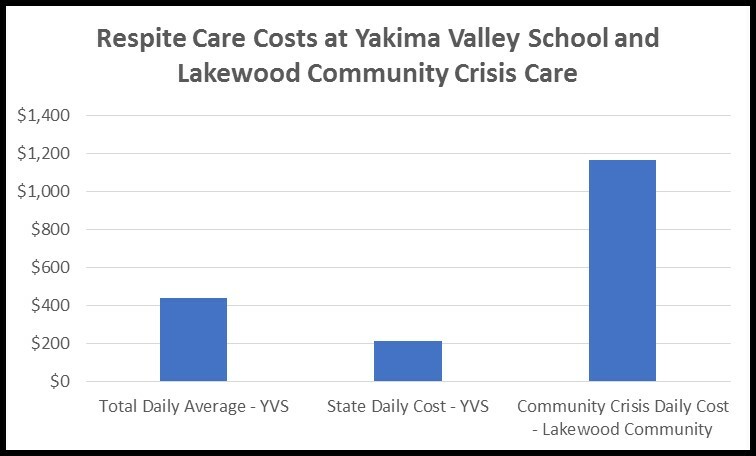 Yakima Valley School, the RHC which has most recently been “studied” for closure, serves an average of 34 community respite clients per month. When talking about the RHCs these so-called advocates talk only about the permanent residents of the RHCs. We hear that there are only 70 people at Yakima Valley School – forgetting that over the past 2 years there have actually been 920 people served there. Many more people from the community are served at Yakima Valley School than permanent residents. This is a part of the discussion that needs to be heard. 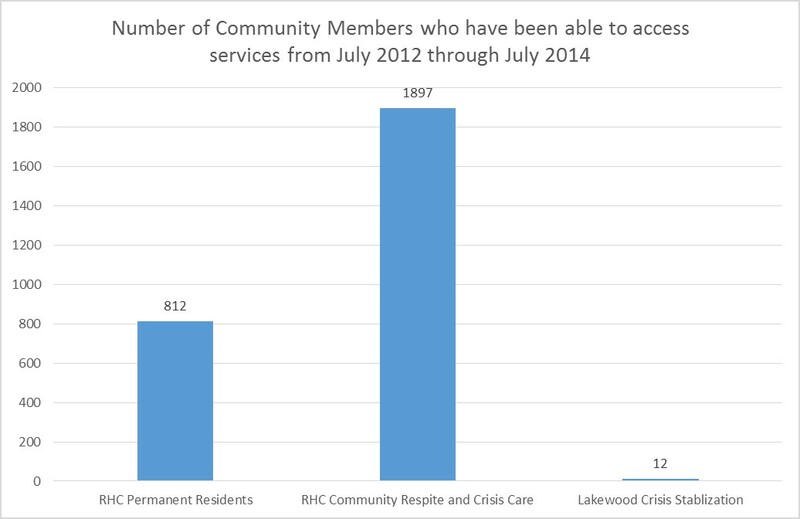 The RHCs are part of the continuum of care and serve many people who reside in the larger community. Without the RHCs, where would these people receive the much needed respite? 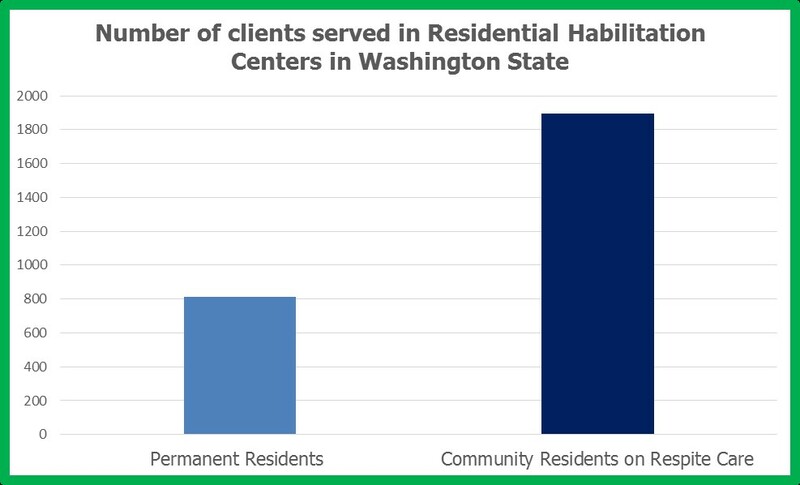 The cost of care in the Residential Habilitation Centers is mostly for community care – the permanent residents are less than 50% of the number of clients served. If The Arc chapters and the Developmental Disabilities Council continue to advocate for consolidation and closure of the RHCs, they are only advocating for fewer and fewer services, both for those in the community and those who are the permanent residents of the RHCs. Where would all the people go and receive care? 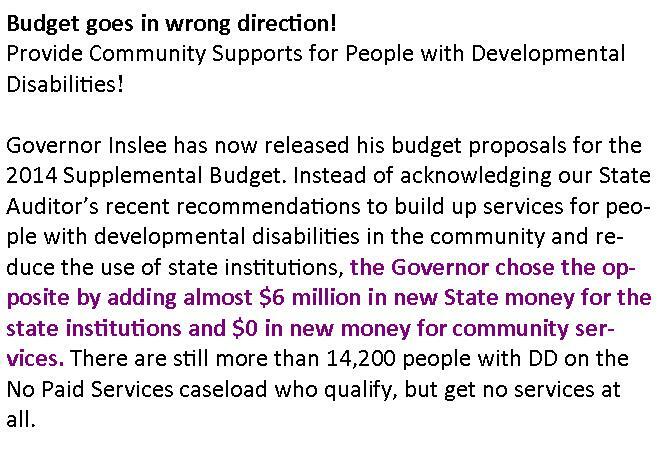 Once again, The Seattle Times has disappointed advocates for those with intellectual and developmental disabilities. Is Groupthink so powerful that people totally lose their sense of justice? Does it prevent people from asking critical questions? Groupthink results in defective decision making and large amounts of waste in human and material resources. This is clearly evident in the past couple of decades with over 38 “work groups” that have been formed in our state to tackle the issues of supports for those with developmental disabilities – 38+ reports which have amounted to no decisions or progress. WASTE of time, money and talents – is this due to groupthink? Knowledge is power and we are becoming less powerful because knowledge is being kept from us. Our media has let us down and The Seattle Times no exception. Many people have written to the editors to try to educate them on the issue but since the knowledge does not agree with the groupthink. We need to have a devil’s advocate to challenge and alleviate the ongoing groupthink but will this ever be allowed? Not at the rate we are going! Once again, The ARC – Washington State has issued an Action Alert to advocates with inaccurate and unfounded information. Is this another attempt to rile up advocates for those who have intellectual or developmental disabilities to go against one another rather than working together for the good of the whole? It is a wonderful lie, but it’s a lie. That is not wonderful – it’s deceptive and harmful. Please see this link for accurate information from both the Office of Financial Management and Memo from DDA Asst Secretary Perez re 2014 Proposed Supp Budget. It is clear from both these documents that The ARC-Washington State is misleading our citizens. I have written to both Sue Elliott, Executive Director and Diana Stadden, Policy and Advocacy Coordinator to indicate the source of their information for the extremely misleading Action Alert. They have not been able to produce any evidence to support their claim. Funding for full time staff to perform preadmission screening, resident review, and specialized services (when needed) to Nursing Home clients in the Residential Habilitation Centers. Reimbursement for developmental and autism screening will be added to the Medicaid plan to assure that children with developmental delays are identified as soon as possible. Hiring of additional Residential and Community Services investigators of supported living providers in order to improve the timeliness of investigations, which will be funded through a certification fee. The Vulnerable Adults Incident Tracking system (TIVA) which will be funded through the Roads to Community Living grant. Development of the Community First Choice option Medicaid waiver which would result in the state receiving an additional 6% federal match for services provided to individuals with developmental disabilities and the elderly. The savings could be re-invested in additional client services. Capital Budget—Funding added to the Capital budget to make infrastructure repairs at Lakeland Village and Fircrest School. It certainly appears to me that there is support from our Governor to ALL people with intellectual and developmental disabilities – from the young children to the elderly, from those at home to those in supported communities. Please, encourage The ARC chapters to support a continuum of care, support ALL people with ID/DD and do not pit advocates against each other by spreading false information. In order to improve the situation, we need to work TOGETHER!